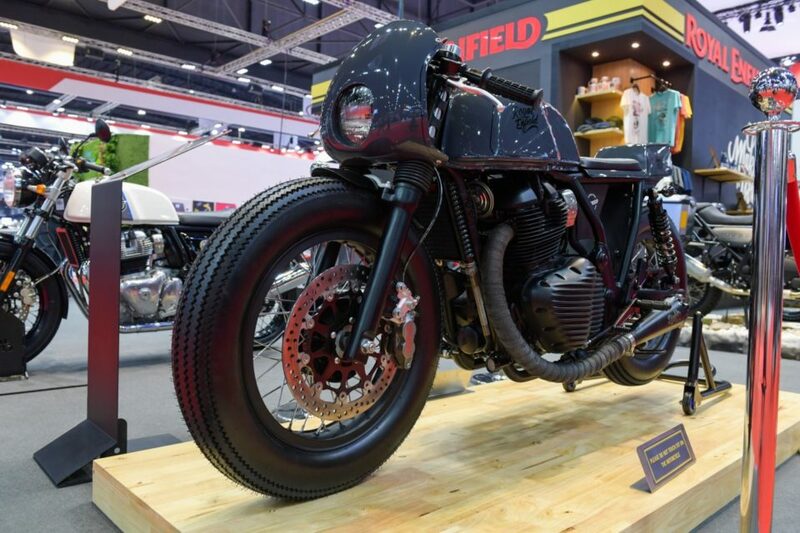 Royal Enfield showcased a custom bike called Vayu based on the Continental GT 650 at the 2019 Bangkok International Motor Show. 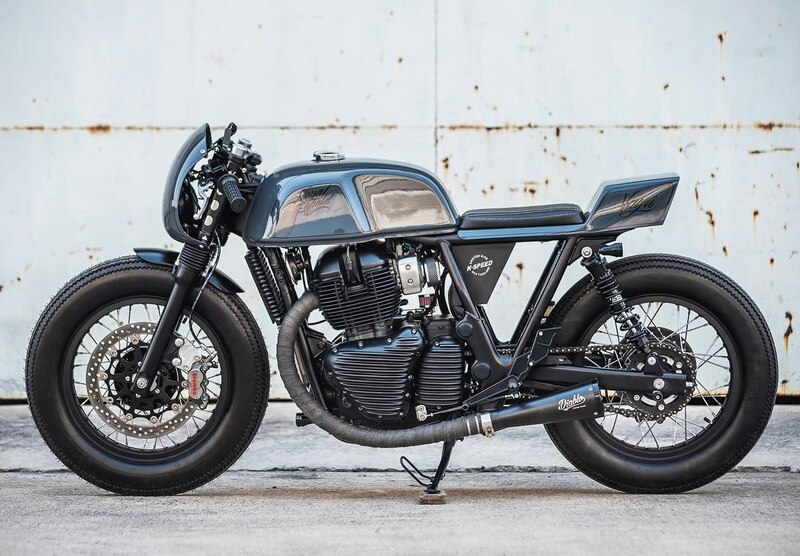 The company has made so many changes for the stock bike as the Vayu looks completely different and it gives a new character for the custom bike. The Vayu gets a retro design theme as the front get new round headlamp with a bikini fairing and it looks similar to the BMW R nineT Racer. The stock handlebar has been replaced by a new clip-on and it is positioned slightly lower compared to the regular ones as it gives a sporty riding stance with rear-set footpegs. The company removed the instrument cluster while the fuel tank comes from the stock Continental GT 650. The Vayu comes with a single seat as it gets contrasting stitching also. 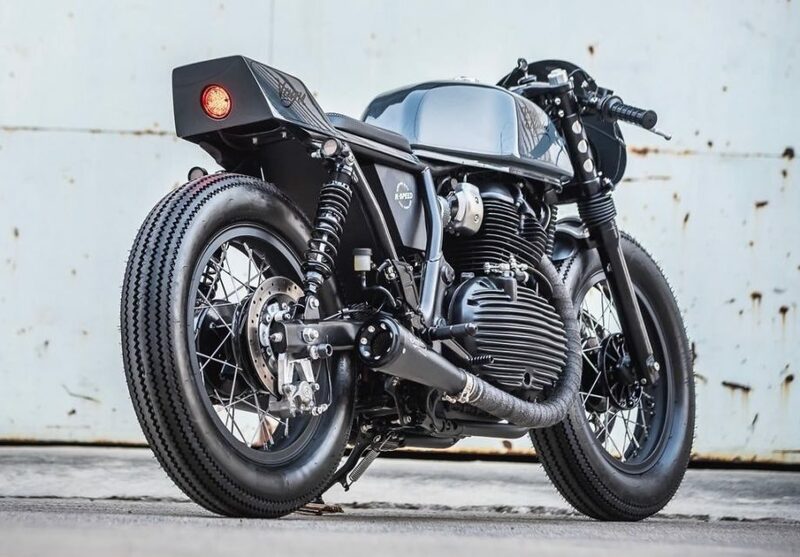 The rear doesn’t get any fender, which gives a clean look for the motorcycle and the rear indicators are placed on the top of the suspension. The Vayu gets aftermarket round tail lamps with regular bulb instead of LED. To continue the sporty look, Royal Enfield replaced the side panels. The stock suspension set up has been retained as the front get telescopic forks and rear gets twin gas charged suspension, the only addition is a pair of gaiters for front forks. But the suspension travel has been reduced in the Vayu and one of the reasons for this is that the custom bike comes with big tyres. The size of them are not known yet and Royal Enfield has given spoke wheels instead of alloy wheels. These tyres appear to be the all-terrain type and it might affect the performance of Vayu. The braking power comes from discs at the front and rear but the Bybre callipers have been replaced by Brembo as it is expected to improve braking performance. The engine is likely to be stock and 648 cc parallel twin-cylinder fuel injected engine puts out 47 bhp of power and 52 Nm of torque, mated to a 6-speed gearbox.